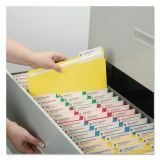 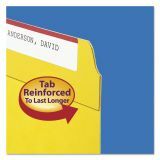 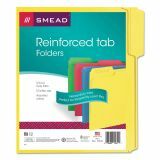 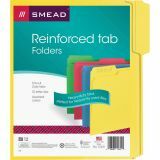 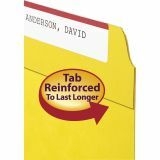 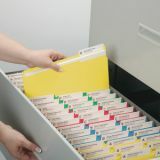 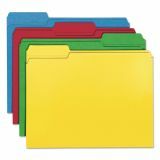 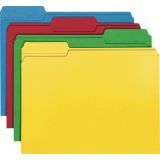 Smead File Folders, 1/3 Cut, Reinforced Top Tab, Letter, Assorted, 12/Pack - Brightly colored file folders feature 1/3-cut two-ply tabs in assorted positions for quick filing and file retrieval. 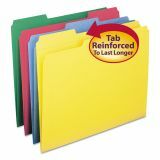 Ideal for students, home offices or small businesses. 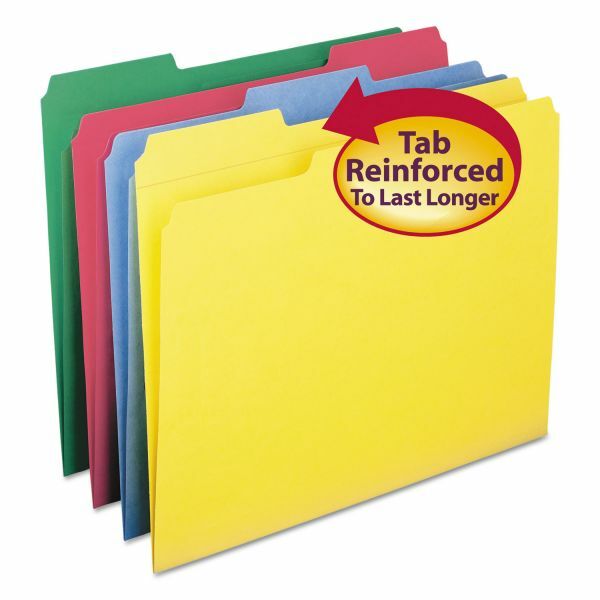 Assortment includes each blue, green, red and yellow in each of the three tab positions. 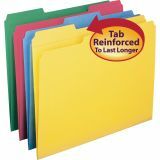 Folders are made of 11 point stock and scored for 3/4 expansion."